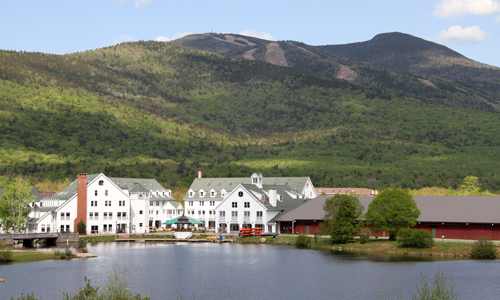 Waterville Valley has been a favorite vacation spot/getaway for over a century. Considered by many, an oasis in the mountains, the resort offers a self-contained, detached community surrounded by 4.000’ mountains and several streams, ponds and rivers. It was first developed as a summer retreat in the early 1900’s, later as a ski resort in the late 60’s and now is recognized as one of New Hampshire’s most popular, year round tourist destinations. 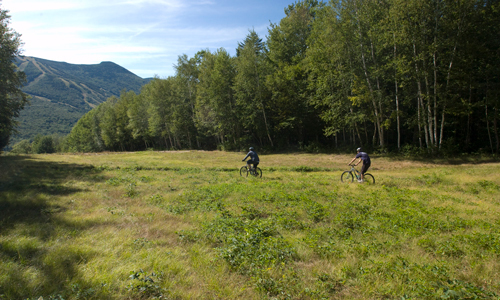 With skiing, snowboarding, ice skating, nordic skiing, sleigh rides and tubing in the winter, hiking, biking, swimming, golf and tennis in summer (and just about any time in between), Waterville Valley offers everything you need to stay active . . . while its many inns, shops and restaurants will keep you relaxed, too. Shopping – This small mountain town has it all. From books and antiques, name brand clothing, to condo and home decorations, you’ll find something that you need in your life. Dining – Waterville Valley is a quaint oasis in the mountains, but the dining selections outweigh its size. From gourmet fare from Johnson and Wales trained chefs to simple pizza and salads, Waterville Valley has something for every taste and wallet. 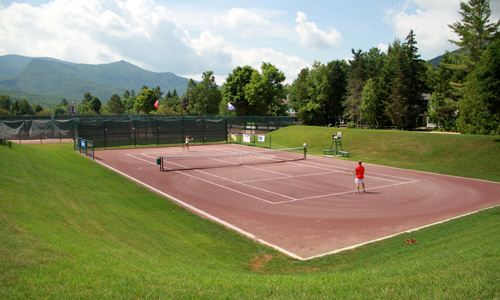 Tennis – 18 clay courts waiting for you at the base of surrounding 4000’ peaks – no wonder the Waterville Valley Tennis Center is considered is a Gold Medal Resort by tennisresortsonline.com and is recognized as a Top 25 in World distinction. 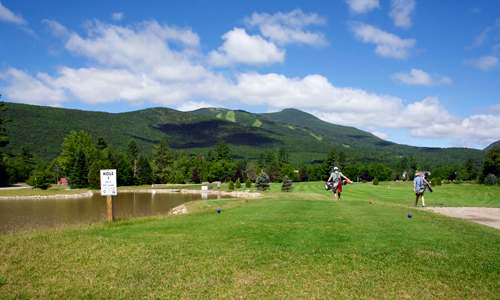 Golf – A scenic 9-hole course for all abilities, nestled in the White Mountain National Forest. Bring the family or friends to challenge your ability on this par 31 course. 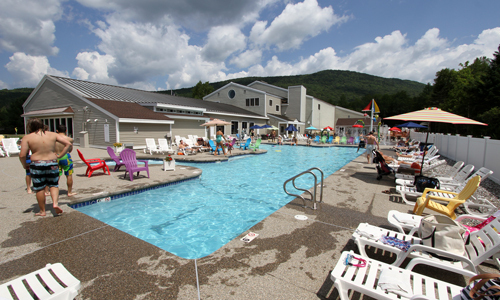 Athletic Club – Rain or shine, the White Mountain Athletic Club offers activities and relaxation for all. Whether it be the sauna or steam room, hot tubs, indoor tennis courts, indoor or new outdoor pool and splash pad, you’re sure to find a way to enjoy your time here. Available to Freedom Pass holders and members only. 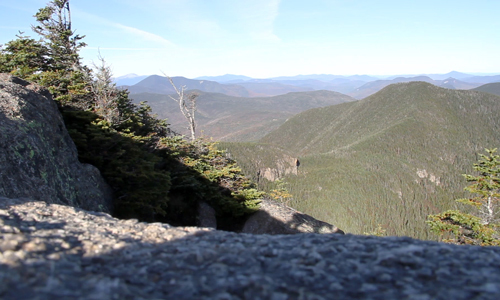 Hiking – New Hampshire has 48 4000’ peaks, Waterville Valley is home to seven of them. Conquer this rugged terrain or stroll along some of our well marked trails leading to scenic vistas, bubbling brooks and endless cascades. Biking – Bring your bike or rent one through the nearby Adventure Center because you’ll be staying in a peddlers paradise. 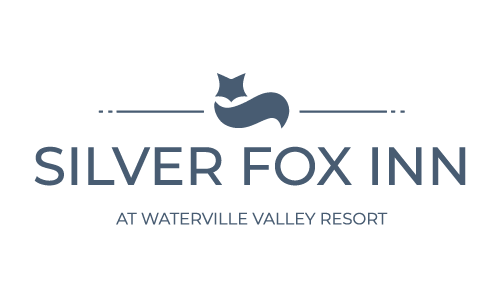 From winding smooth roads, subtle woods trails and intense National Forest adventure, Waterville Valley has it all. 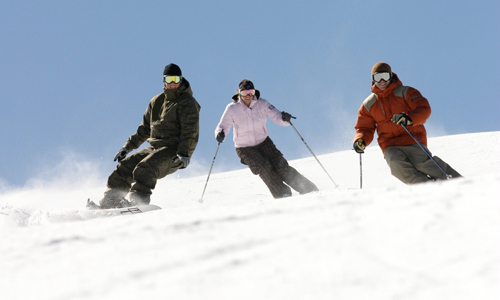 Ski Area – Started by Olympic skier, Tom Corcoran, the Waterville Valley Ski Area has been open for more than 50 years. Having hosted the most World Cups and opening the first terrain park in the country, the Ski Area has 50 trails with 100% snow making mountain coverage. 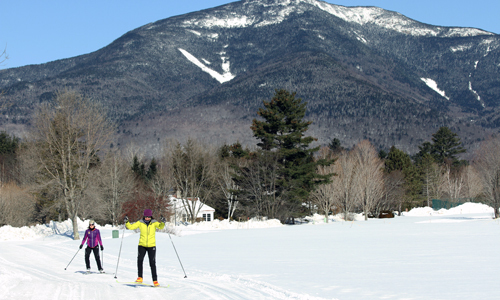 Cross Country Skiing – The Waterville Valley Adventure Center includes 100KM of groomed and tracked cross country trails that wander in and around the White Mountain National Forest. Match this with fat bikes, and year round ice skating and you have numerous ways to keep yourself busy in Waterville Valley.